looks like he was rear ended, damn. GD it! I know a 40-ish guy out that way with a red 996. His cell goes to vm right now. CRAP! One of my greatest fears, getting hit trying to turn into my driveway. I live directly across from a cross road on Hwy 3, on a short straight with blind corners on either end (was much worse before they straightened it out years ago). I cannot count the number of times I have had to wait to turn into the driveway only to have the vehicle behind me dive around me on the right, using the cross road as a passing zone. And so many times the car behind them has no clue I am sitting there waiting to turn. There have been way too many close calls, and two accidents that way. We have gotten used to being ready to dive down the cross road, rather than the driveway, if there is traffic behind us. RIP Rider, so very sad. 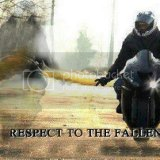 Peace out to you and your family rider. I wonder if texting was involved. 1 out of every 10 cars on the way into work today texting.. This is looking more and more like it is a guy I know. I so hope I'm wrong! But damn the bike looks identical, that is his neighborhood, he loves to ride and the helmet visible in one of the pics appears to be his.